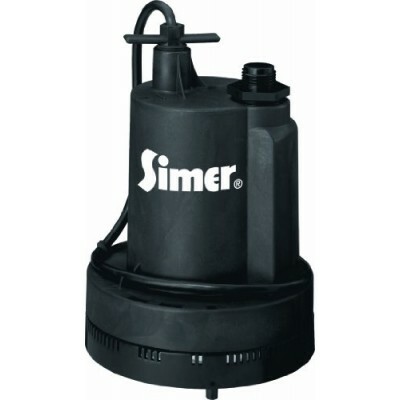 The Simer Geyser II 1/4 HP submersible utility pump comes with an 8-foot power cord, garden hose adapter, and a thermoplastic corrosion-resistant body. It features a maximum pumping capacity of 1260 gph while its 115-volt, 6 Amp oil-filled Simer motor provides dependable high efficiency. With built-in thermal overload protection, the pump comes with a 1-year limited warranty.